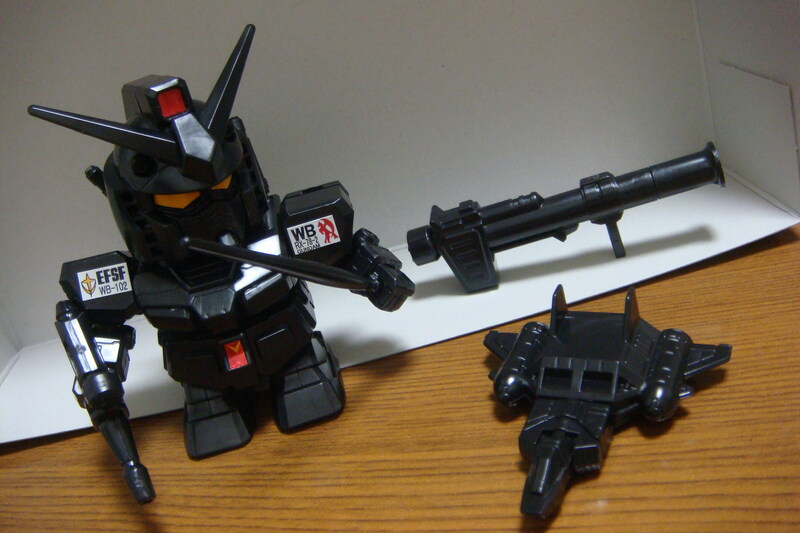 I whipped through the ecopla version of the SD RX-78-2 Gundam and here’s the pictures. 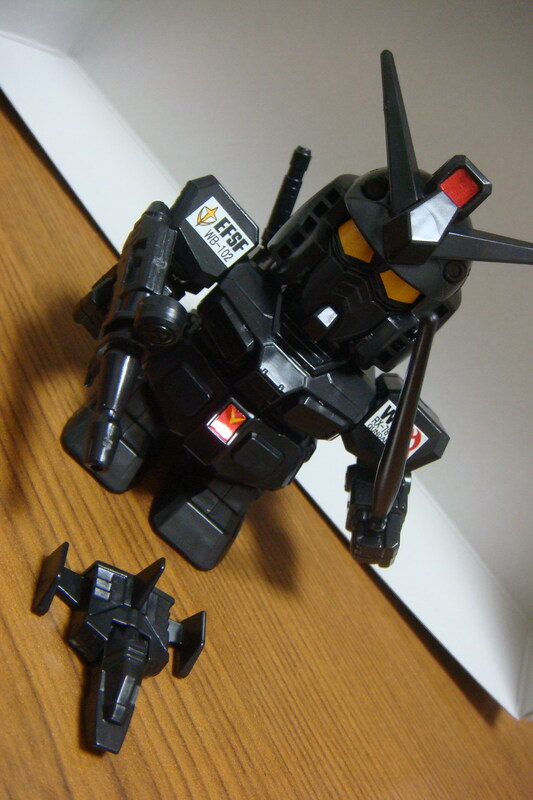 For those not familiar with ecopla, this is Bandai’s way of participating in the new Eco trend occuring everywhere. The plastic used is all recycled from leftover plastic. 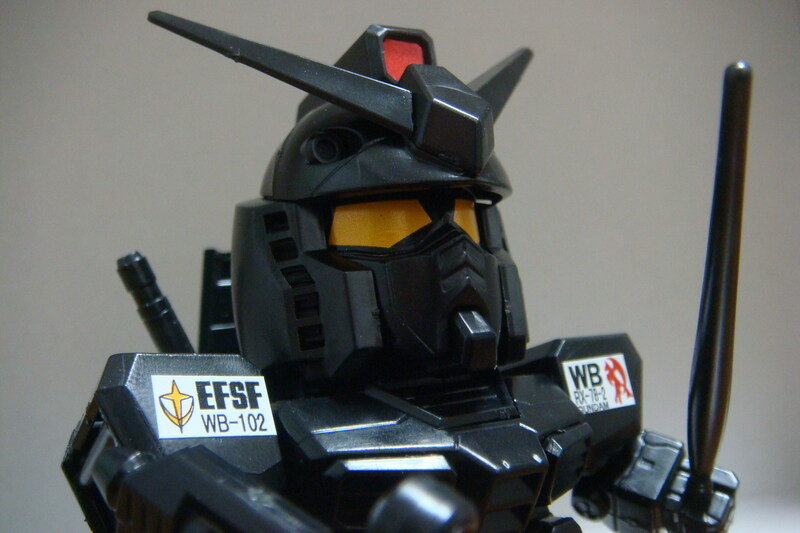 It makes sense, as I’m sure you all are familiar with the fact that there is tons of plastic left over after finishing a build. 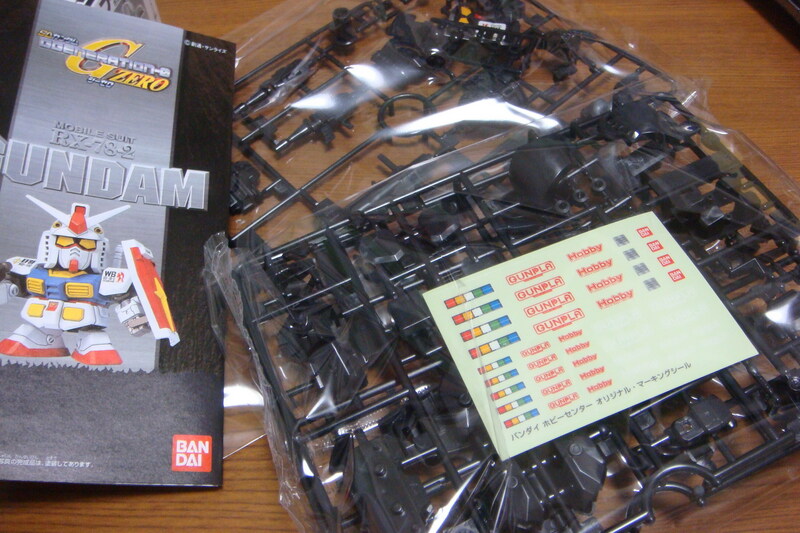 Do to the recycled use, the plastic comes out as black, creating yet another “version” of Bandai’s popular kits. Yet another way to whore the same thing out to the public, while making more money, and making it easier for guys to convince their significant others that it’s ok to spend more money on more kits. “But honey, it’s eco!” Hey, I can’t talk, I bought two myself. Anyways, from my understanding, ecopla is currently only being sold at Bandai’s hobby center in Shizuoka prefecture and the occasional show. So these could be considered somewhat limited release. 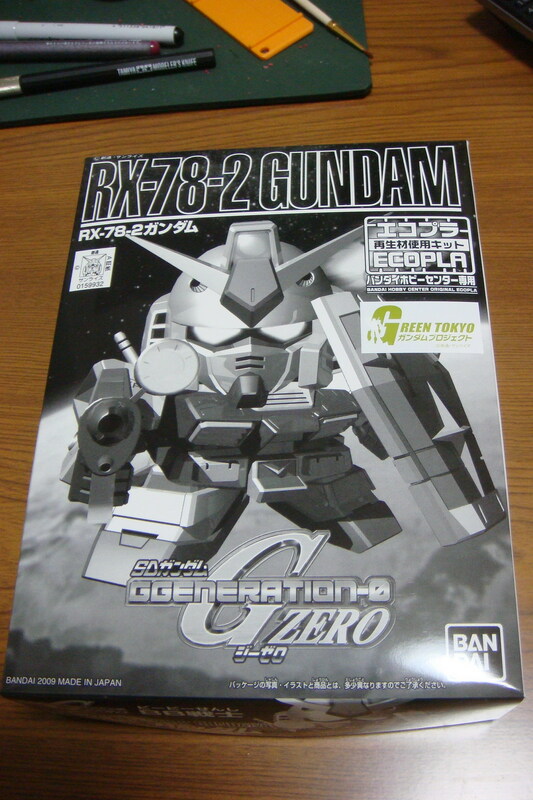 For those in the greater Tokyo Region, being able pick these up during the Green Tokyo Gundam Project period is a great opportunity. 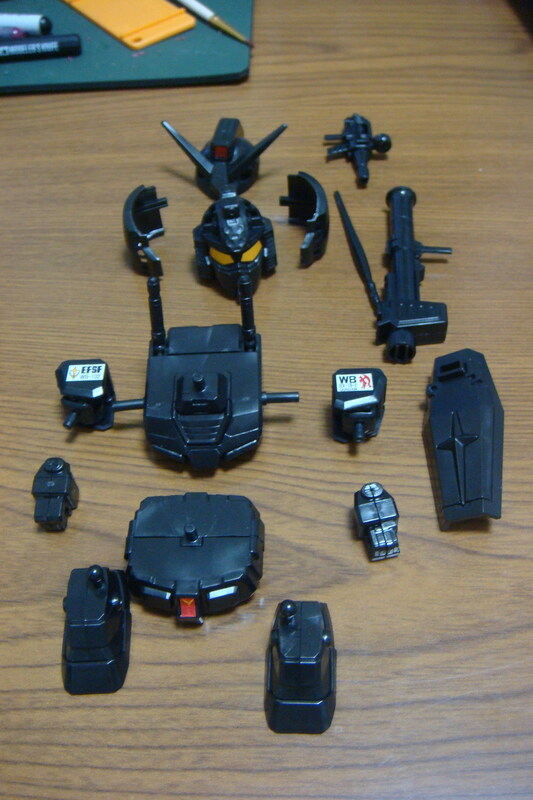 Overall, the black actually looks fairly cool, and unlike black parts of other kits, there isn’t much white residue or damage from snipping off the parts. 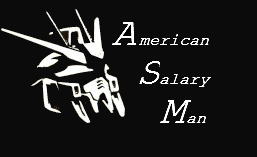 The few seals then actually accent the black as well. 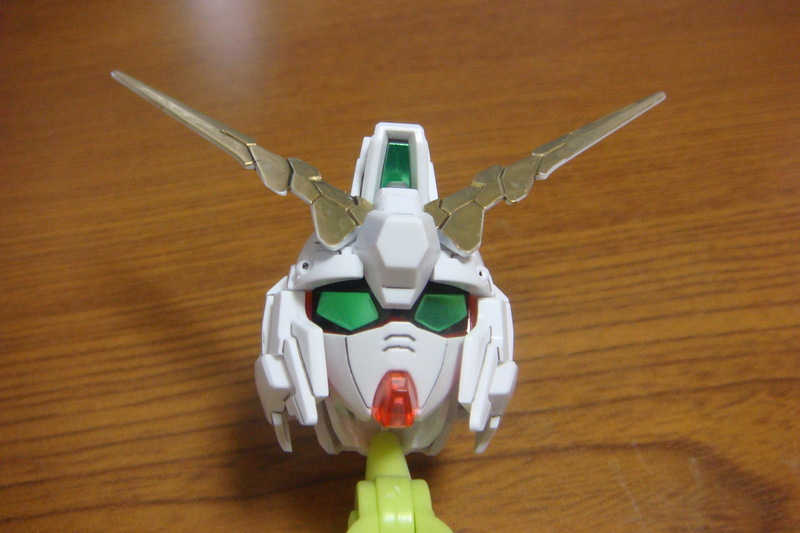 While no pictures of it posing, it’s a SD kit, so don’t expect that much. 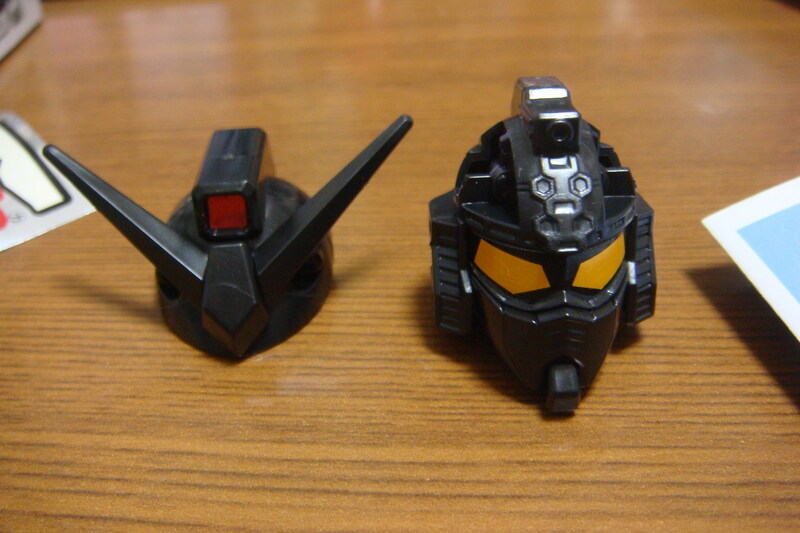 Still the black gundam is very compact and cool. Recommended if you can pick one up.